Arsenal are ready to listen to offers for out-of-favour Mesut Ozil – but will struggle to offload him. Ozil, 30, has become an outcast under Unai Emery despite being the club’s highest-paid player having signed a new £350,000-a-week contract less than a year ago. Gunners boss Emery is frustrated with Ozil’s work rate and contribution to the team which is the reason why the World Cup winner has found himself out of the team. There has been interest from Inter Milan who may be willing to do a loan deal in January but Arsenal are unlikely to subsidise his sky-high wages and would also want a sizeable fee for a permanent switch. It means Arsenal are potentially left with a big problem for another two and a half years because Ozil’s deal runs until 2021 and yet he clearly does not fit into Emery’s plans. It all points to Ozil being on his way and there has been an issue for much of the season since Emery publicly demanded more from the mercurial midfielder having substituted him early in the season. However, the real turning point came at Crystal Palace in October when Mirror Sport understands that Emery was urged to start with Ozil on the bench but ignored the advice from his backroom staff and started him, even making him captain. But Ozil’s abject display at Palace saw him get substituted, he threw down the captain’s armband and that infuriated Emery. 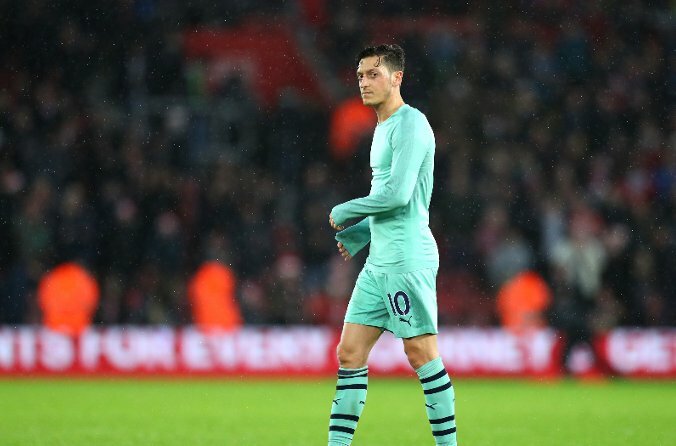 It also signalled a major shift in Emery’s attitude towards Ozil, believing that he does not do enough work for the team in away games and, sure enough, the German has not started an away game since. Ozil is well aware of Emery’s reservations and yet still does not want to quit Arsenal but whether he can get back into the manager’s good boos remains to be seen with insiders believing there is no way back.